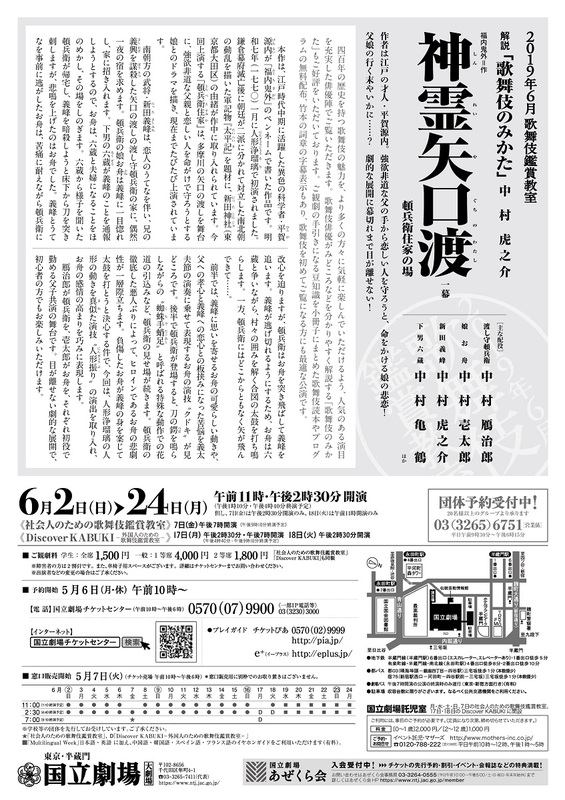 Discover KABUKI "Shinrei Yaguchi no Watashi"
English Top > Performance Schedule > National Theatre > Discover KABUKI "Shinrei Yaguchi no Watashi"
June 17(Mon.) 2:30 p.m.- 4:40 p.m./7:00 p.m.- 9:10 p.m.
June 18(Tue.) 2:30 p.m.- 4:40 p.m.
*End times are estimates and may vary. PartⅠ: "How to Appreciate KABUKI in English"
*Audio guide: Available for rent in Japanese, English, Chinese(Mandarin), Korean, Spanish, French. Click here for details. *Subtitles: Available only in English. Displayed on screen above the stage. 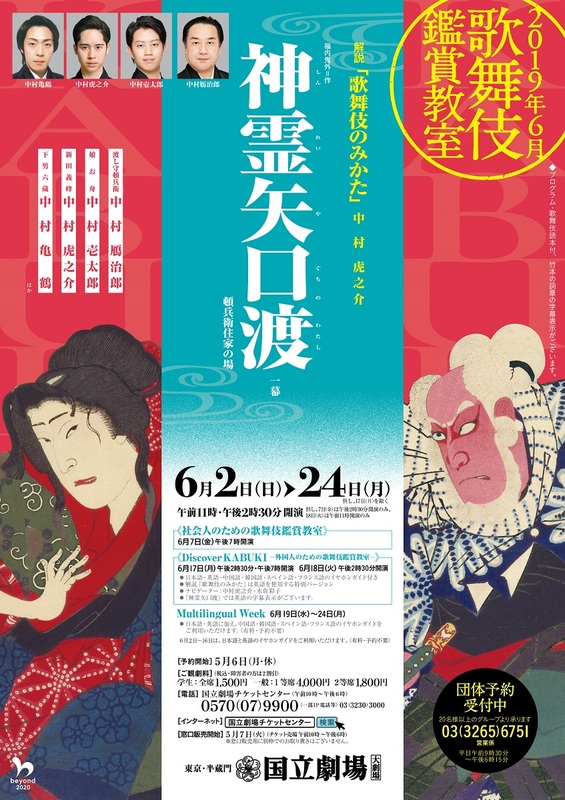 The summer months at the National Theatre feature special performances of Kabuki to introduce this traditional art to students. The program always includes a friendly introductory lecture hosted by one of the young stars and performances by top-rate actors. If you have never seen Kabuki, this may be a perfect opportunity. For the time and the price and the quality of the performance, this can't be beat!